Cannabis or marijuana, as it is more commonly known, has been a controversial topic for many decades, even more so now since many states in the US are legalizing Cannabis for medical use in conditions such as side effects of cancer, epilepsy as well as for pain and treating addiction. The question is does it work for pain? Does it work as well as or better than Opioids for pain or is it just a myth? Pain is considered to be one of the general senses of the body that is used to signal us that something in the body is responding to change. Pain can be connected to many conditions and issues since it is one of the ways the body protects itself when it senses something is wrong. Pain is considered to be subjective to each person as it can be influenced by a persons emotions as well as how they perceive it or what they have been taught about it. Pain that is not relieved can cause healing to slow down and cause the body to start a stress response in order to get rid of the pain . II. Visceral pain. This type of pain usually comes from an internal source causing irritation to the internal organs. Some examples of causes include swelling or irritation in or around the organ or from a lack of oxygen to the organ. This pain is more difficult to diagnose because the pain may be felt far away from the actual source of the pain. This type pain is known as referred pain . How pain gets activated is something that is continuing to be studied by researchers. What is known is that there are a number of pain producing chemicals that activate the sensory nerve cells when something irritates the nerve. Chemicals such as potassium, histamine and serotonin may be released by either the damaged tissues themselves or by blood cells that travel to the damaged area . What happens is something irritates the cells at the end of the nerve, either on the skin or on an internal organ, the chemicals are released and a message is sent from the nerve ending up the nerve to the bodies central nervous system. The central nervous system sends the pain signal to the spinal cord and from there it travels to the pain centers in the brain and the body reacts to the pain. The pain centers in the brain are also sensitive to and respond to treatments to reduce or eliminate pain . 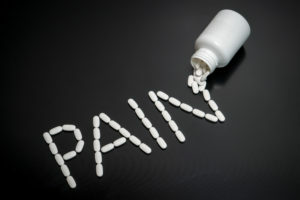 One of the current treatments for pain, especially ongoing long term pain, is opioid or opium based medications. Opioids can be given directly in a persons vein or can be taken by mouth in a liquid or pill form. The medication is absorbed through the stomach and intestines and carried by the bloodstream to the opioid receptors located in the brain. The medication then stimulates the opioid receptor to reduce the pain without stopping whatever is causing the pain. Opioids can make people feel sleepy, very euphoric or high and even cause breathing to stop. These medications are considered to be dangerous and can cause people to become addicted to them. 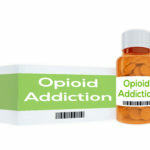 Opioid addiction is considered to be the fastest growing drug and health problem in the United States and is often described as being an epidemic . Marijuana is also known as Cannabis and has been used as a treatment for pain (and other conditions) for many centuries. There are two different components of Cannabis that are focused on when talking about using cannabis for medical purposes, THC and Cannabidiol. THC, like opioids can provide pain relief  by blocking the pain signals in the brain and central nervous system. Unlike opioids, THC binds with special cannabinoid receptors in the brain known as CBD1 and CBD2 to help block the pain signals. CBD1 and CBD2 receptors are part of the Endocannabinoid system  in the brain and abdomen. THC is also known as the psychoactive or mind altering part of cannabis. Cannabidiol is also known as CBD. CBD is not a psychoactive agent and binds to many different receptors in the brain and counteracts the mind altering effect of THC when taken together. The interesting thing about CBD is it can interact with other medication receptors of the brain including opioid receptors by binding to the surface of the nerve cells and stopping the events that lead to the pain signal being sent [4,5]. There are currently 2 pharmaceutical forms of cannabis approved for legal use in the United States. Dronabinol. This gelatin capsule contains a trans isomer of synthetic THC dissolved in sesame oil. It is FDA approved to be used for chemotherapy induced nausea and vomiting, and for weight loss in acquired immunodeficiency syndrome patients. This drug is absorbed by the stomach and takes time to reach a peak level in the blood. Nabilone. This controlled substance is also a synthetic form of THC and mimics the action of THC on the brain and body. It is also absorbed by the stomach and takes time to reach a peak effective blood level in the body . Another cannabis based pharmaceutical called Nabiximols  is currently under clinical trial in the US for treatment of pain. It has already been approved in Canada and Europe for pain caused by spasticity in Multiple Sclerosis. This medication is used as a spray onto the mucosal lining of the mouth. It is a whole plant extract from the cannabis plant, and contains both THC and CBD. 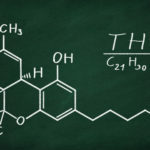 Researchers continue to study both THC and CBD to see if they are effective for managing pain. Most of the clinical trials carried out on elderly patients 65+ with chronic pain show significant drop in pain levels. These patients were followed for 6 months. 2736 patients received medical cannabis were surveyed as part of the study. 93% patients reported the drop of pain levels with Cannabis use . Similarly, a large review of all the trials listed in literature on the effect of Cannabis on pain showed that it was at least 70% effective in relieving neuropathic pain. There is limited evidence on relief of other kinds of pain with Cannabis . In general population, the data showed an increased risk in mental health defects with long term or heavy use of Cannabis. In yet another study and comprehensive review of 28 studies, this time led by a team at Harvard University, It was found that using cannabis for chronic pain, pain caused by neuropathy or by muscle spasticity was supported by high quality evidence. 11 out of 11 studies on chronic and pain caused by neuropathy found signifigant improvements in patients symptoms. Therefore, at least for neuropathic pain the data suggest that patients can wean off opiate medications and manage pain with Cannabis. Research needs to be carried out to investigate whether cannabis and opiates used together would have a synergistic effect on pain. There have also been a few randomized studies on Nabixomols  and pain caused by cancer. These studies randomized to placebo’s and THC showed that Nabixomols improved patients pain scores when compared to placebo’s. However, when it comes to neuropathic pain, the results have been mixed with few patients reporting symptom relief as compared with placebo. Patients who have chronic pain related to rheumatoid arthritis reported improved pain scores and better sleep when compared to placebo . Studies involving Dronabinol used for pain symptoms showed in a small study 5 of 13 patients with chronic non-cancer pain received adequate pain relief and response when compared with placebo. Yet another study involving patients with chronic pain taking opioids found more pain relief when taking Dronabinol along with Opioids . In looking at Cancer patients taking THC at a dose of 10mg, they reported mild pain relief. When a controlled study involving a placebo, patients reported pain relief at doses between 15mg and 20 mg with these patients reporting a feeling of a feeling sleepiness, sedation and mental clouding . Patients with neuropathy pain participated in an open label study with Dronabinol with findings reported that the drug did not offer pain relief, improved quality of life, a decrease in anxiety/depression or ability to function on a daily basis . Studies involving Nabilone showed that patients with diabetic neuropathy had improvement in pain scores with use of this drug. Nabilone used with Gabepentin (Neurontin) also showed improvement in neuropathic pain scores. Nabilone was not reported to be helpful in acute pain, instead it was reported to worsen patients pain scores and perception of pain in acute cases . 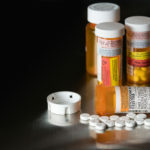 Opioid medications are well known to be highly addictive, especially when used over a long period of time to treat chronic pain because of what is known as “drug cravings”. Drug cravings are when the body feels a very strong need for the medication and can cause people to “relapse” and need more opioids to control the cravings. The CBD part of Cannabis has been shown in both human and animal studies to be non-addictive and able to control reduce drug cravings and withdrawal symptoms such pain, anxiety and changes in mood. This is very important to research and follow-up on since opioid addiction is a growing health problem in the United States. A March 2016 study done at the University of Michigan and published in the Journal of pain showed that cannabis decreased the side effects of other medication, as well as improved patients quality of life and showed an 64% reduction in the use of opioid medication. This study involved 244 patients with chronic pain completing an online questionnaire. The patients selected received their cannabis from a single medical marijuana dispensary in Michigan between November 2013 and February 2015. This study recommends that a larger, rigourous longitudinal study be conducted to see if cannabis can be used for pain management . One of the limitations of cannabis studies is the amount of cannabis used by each patient. 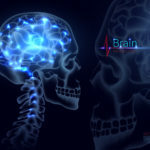 There are many variables involved in cannabis use for pain including the strength of the product used, the method it is given by, and the pattern of use. Some studies report these areas and others do not. This means that controlled studies that can be validated and repeated producing the same results are critical to making any recommendations. More and more studies are being conducted to look at the effectiveness of cannabis in treating chronic pain both with and without opioids, especially since more States are legalizing cannabis for medical usage. The evidence presented to date points to cannabis being an effective safe, treatment for chronic pain when used with careful prescription and monitoring of a medical cannabis doctor or healthcare provider. Using cannabis, especially CBD, to treat addiction and combat the opioid epidemic still needs more study and follow-up. Story, L. (2015). Pathphysiology A Practical Approach 2nd Edition. In L. Story, Pathphysiology A Practical Approach 2nd Edition (pp. 428, 429). Burlington MA: Jones and Bartlett Learning. M Osterweis, A Kleinman, D Mechanic. (1987). Institute of Medicine (US) Committee on Pain, Disability, and Chronic Illness Behavior. In A. K. M Osterweis, Pain and Disability: Clinical, Behavioral, and Public Policy Perspectives. Washington DC: National Academies Press (US). Kevin P. Hill, Mathew D. Palastro, Brian Johnson, and Joseph W. Ditre (2017). Cannabis and Pain: A Clinical Review. 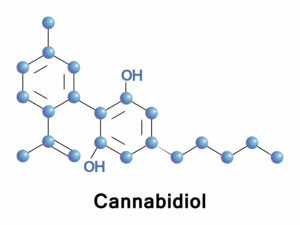 Cannabis Cannabinoid Res. 2 (1): 96-104. Manzanares, M.D. Julian, and A. Carrascosa (2006). Role of Cannabinoid System in Pain Control and Therapeutic Implications for the Management of Acute and Chronic Pain Episodes. Curr. Neuropharmacol. 4 (3): 239-257. Kramer, J. L. (2014). Medical marijuana for cancer. CA: A Cancer Journal for Clinicians, 109-122. Tanasescu, C.S. Constantinescu (2013). Pharmacokinetic Evaluation of Nabiximols for the treatment of Multiple Sclerosis Pain. Expert Opin Drug Metab Toxicol 9 (9): 1219-28. Abuhasira, L.B. Schleider, R. Mechoulam, V. Novack (2018). Epidemiological Characterstics, safety and efficacy of medical cannabis in the elderly. Eur. J. Intern. Med. 49: 44-50. Shannon M. Nugent, Benjamin J. Morasco, et.al. (2017). The Effects of Cannabis Among Adults with Chronic Pain and an Overview of General Harms. Annals of Intern. Med. 2017;167(5):319-331. 3 Responses to "Slippery Road to Pain Control: Cannabis and Opioids"
Thanks for some other fantastic article. The place else may just anybody get that kind of information in such a perfect manner of writing? I’ve a presentation subsequent week, and I am on the search for such information. I blog often and I genuinely thank you for your content. Your article has really peaked my interest. I’m going to book mark your blog and keep checking for new details about once a week. I subscribed to your RSS feed too.